I saw a Tweet yesterday, which perfectly summed up some thoughts I’ve been having for a while. The irony wasn’t lost on me either that it came via Twitter, which has been arguably the most influential learning tool of my career to date, and has in recent years become an invaluable resource for coaches around the World to share sessions, ideas and debate. 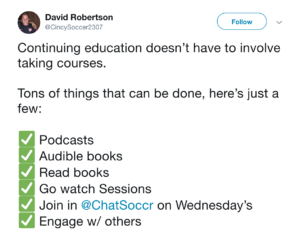 It came from a Development Academy coach named David Robertson (@cincysoccer2307) who’s generally a good follow for all of the things mentioned above. As some people may have seen, I myself have recently built some courses in Performance Analysis, aimed at educating coaches of all levels and some aspiring analysis specialists too. The feedback I’ve had from participants has been more than I ever expected, which I think helps to illustrate David’s point. Quite simply, there are far better ways to educate yourself in certain areas of the game than what you might learn on a traditional on-field course provided by a federation. That’s not to discredit traditional badges; they of course play a huge role in coach development! The best analogy I can come up with is buying a cake. Everyone knows you can go to the supermarket and get one. They are usually generic, and come in a few different colors and sizes, but it’s not going to be exactly what you were looking for, and even less likely to be the best cake you ever had! If you want that extra special cake, you go to a baker who has years of experience, a passion for making cakes and will provide you with exactly what you want. It’s not going to be a ‘one size fits all’ recipe, which somebody at head office has provided, to be reproduced a million times and displayed behind a glass case. In this analogy, the federations are obviously the supermarkets. It’s in no way their fault or a criticism of them overall, but they have a responsibility to provide as many courses as possible, to suit literally thousands of people. Naturally they are limited in what they can provide, and overall I think they do a good job. From personal experience however, I know that the video, data or match analysis portions of traditional courses I’ve attended, are nowhere near what I would consider acceptable. And why would they be? Your course instructor is usually about as experienced in this field as the students! It’s important to stress that this isn’t a case to abandon ‘traditional’ coaching courses, they have an extremely important purpose. I’m certain the same can be said for fitness, strength and conditioning, psychology and other fields that are becoming more and more important in the increasingly complex world of being a coach. 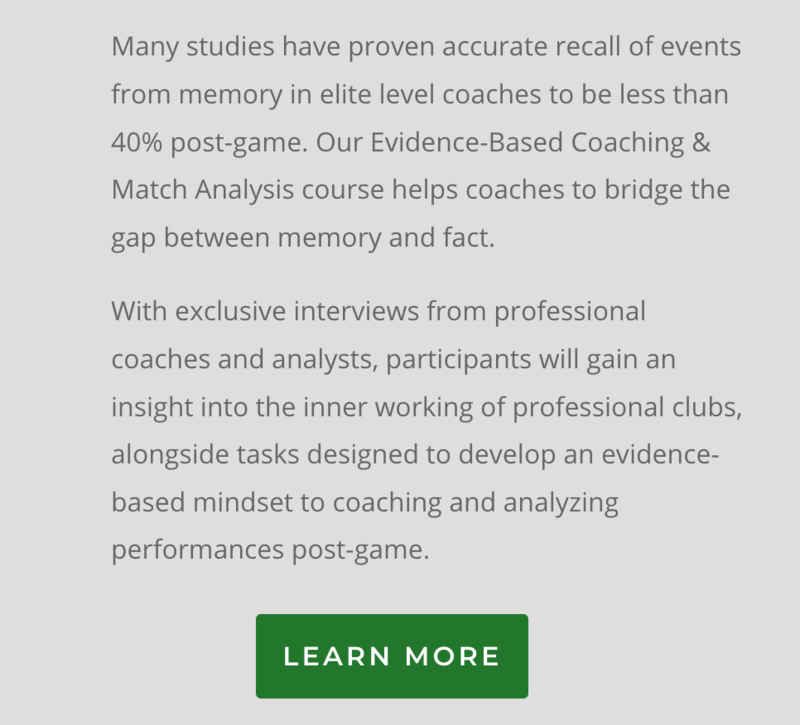 I recently had the good fortune of connecting with Gary Curneen, who has done an incredible amount of work in coach education through Modern Soccer Coach. I was invited onto his podcast, which regularly features guests offering insights and advice for free. There’s also a million tactical blogs out there, analyzing games across the world to suit your interest, and of course there’s some big hitters in my world (video and data analysis) regularly releasing brilliant pieces for anybody to access at will. Almost all of these, I would probably recommend before I would tell someone to go and learn how to incorporate video or data analysis into your coaching process. 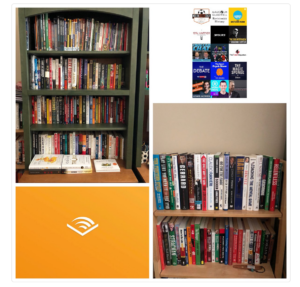 In the last couple of years and especially in the last 6 months, some of these people have built some incredible online courses, which can be of huge value to a coach looking to expand their knowledge. Robin Russell (Sportspath) released a course in talent identification. I’ve taken a few in this area in the past and this one is as good as it gets. I’ve seen bits of feedback online about the course from others, and combining that with my experience on the course, I’d be comfortable stating that this is one of the best if not the best talent ID course available at the moment. No need for a hotel, flights, or time off work. Rob Carroll (The Video Analyst) has released a beginners guide to R. For those who don’t know, that’s coding/computer programming and is probably the first step to becoming a data analyst. I can guarantee you won’t find anything like this at the federation level, and given Rob’s background along with Dr Jocelyn Mara, who wrote the course it will certainly be a brilliant resource. No need for a hotel, flights, time off work. Stevie Greive (Onside Soccer Consulting) released his tactical teacher platform. Although maybe a bit closer to what you might find on a traditional license, it still offers an insight into the modern game and modern tactics, which can’t be rivaled by an in-person course (in my opinion). How much of your current tactical experience and knowledge comes from your time playing, and how much specifically did you learn on a coaching badge? No need for a hotel, flights, time off work. And finally, I’m going to plug my course too (Coach Tech Soccer). I’ve worked in professional football/soccer for 7 years now under 5 coaches for 3 clubs. I’ve experienced how to implement video and data analysis in pre/post game preparation as well as in recruitment. 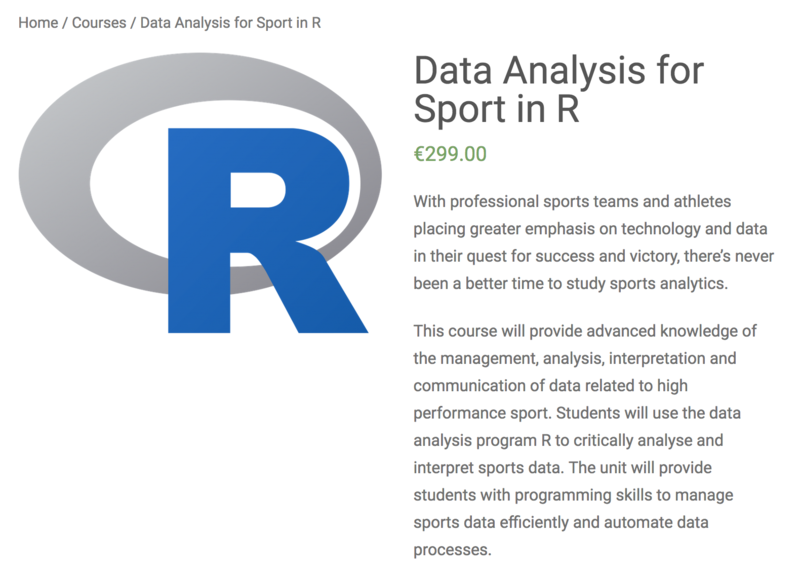 I can honestly say there isn’t a course out there that can offer insights and a genuine solution to match analysis like the one I built. If you think I’m wrong, and know of one, please feel free to reach out and let me know! Again, no need for a hotel, flights, time off work. Those are all paid courses, but very good value for what you get in return. If we think about the modern world and more specifically the business world, there are some great examples of what tailoring products to the consumer can bring. Uber/Lyft have exploded in popularity because ordering a taxi was painful. From the initial phone call, to wondering when it will show up, to safety and payment issues. AirBnB has had similar success, taking advantage of expensive prices for average hotel rooms which offer nothing more than a bed for the night. Now you can find a solution that fits what you actually want, not just what’s available. We’re seeing a similar movement in coach education. What the solo artist lacks in weight and resources, they gain back in flexibility and the good fortune of not needing to cater for thousands, maybe just hundreds. If you haven’t already, I would strongly suggest checking out all of the options above the next time your looking to expand your knowledge. CPD doesn’t always have to come in the form of an official license. Just as sometimes you will order a yellow cab, stay in a Marriott hotel, or even buy a cake from the supermarket, there will always be a time and a place to take a coaching course. However, perhaps it’s time to find a solution that fits you, the coach rather than settling for second best! * CoachTech offers a range of coach education and consultancy services to clubs and the individual coach. We encourage you to explore the site and see if there is something we can do together. What to do? 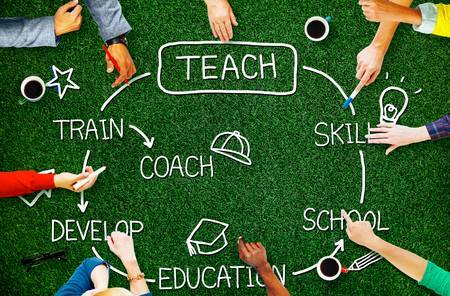 We need to encourage aspiring teachers to attend programs where not just anyone can become a teacher; where classes are tough and focused on getting teacher candidates to master key skills; and where candidates observe and learn from great classroom teachers.